You can choose from more than 50 Adelaide Hills cellar doors, many of them with magical views over the hills, valleys and vineyards. 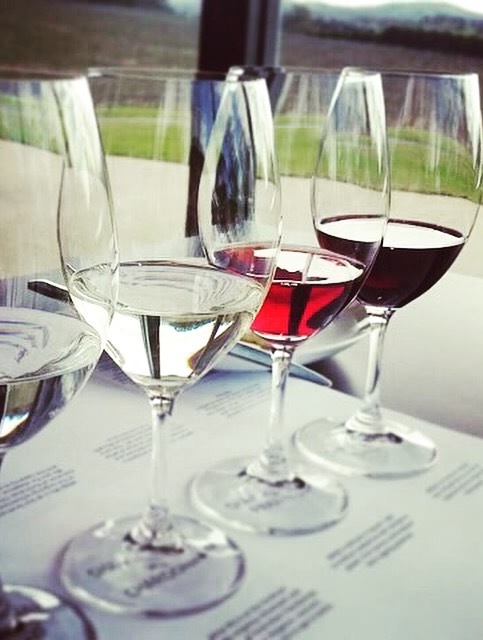 Some wineries offer restaurant quality meals or platters to enjoy in doors or picnic/vineyard settings, or you can select from the many places in and around Mount Lofty, Hahndorf and Woodside to enjoy lunch. With a totally flexible itinerary, you just need to let us know where you'd like to go and leave the rest to us. Your Day, Your Choice, Your Destination. At around 9:30am – you are welcomed aboard the luxury Mercedes-Benz Valente and transported in style to the Adelaide Hills wine district. There you'll visit two or three wineries before enjoying lunch from the many options including restaurants, pubs and cafés. Let us know your food preferences and or budget and we'll find the right place to suit. In the afternoon you'll visit another two or three wineries, depending on time. Leaving the Adelaide Hills at 4:30pm, you'll be returned to your drop off point at approximately 5:15pm. Highly recommend a wine tour with Russell at Perfect Blend Tours! Recently we did a couples tour with him through the Adelaide Hills. He was a great guide and took us to some lovely wineries & gave us plenty of local knowledge! Looking forward to returning to SA and the wine regions – we will be sure to book another tour with Russell! We were picked up at the airport by Russ (our driver for the day). The weather unfortunately was not the best but our day turned out to be wonderful. He even took us to Mt Lofty twice on the day, as the first time we were rained (clouded) out. Russ shared his passion for the Adelaide Hills, Glenelg and Handorf. His suggestion for lunch in the Adelaide Hills were extraordinary. You will not be disappointed if you see Adelaide/Barossa/Hills with Russ. My 2 girlfriends and I had a fabulous time being escorted by Russell around the Adelaide Hills and McLaren Vale wine regions today. The booking process (only a week out) was easy via email / phone. Russell was friendly and knowledgeable, and extremely flexible with the itinerary. He recommended wonderful vineyards, was more than happy to work in with our wishes, kept us entertained along the way...and went out of his way to take us back to our accommodation via the scenic coastal route. Could not rate highly enough. Thanks Russell! Your Adelaide Hills tour is waiting. Why not enquire about availability today or if you would just like further information.